JSW Steel's latest offering “JSW Pragati” is a perfect blend of innovation and strength. JSW Pragati is a GAC Sheet which is a unique customized roofing solution for aspiring India. 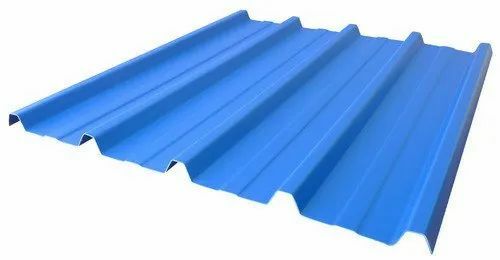 With a corrosion resistance which is twice that of galvanised corrugated steel, it has a longer life span, giving higher economic value to the customer. Also it brings the much needed security in roofing solution by replacing traditional form of roofing which is susceptible to wear and tear and fails to provide protection against nature. JSW Pragati GAC sheets are safe, economical, aesthetically appealing, durable, environment friendly and yet affordable. The endeavour of JSW Steel has been to always raise the bar for itself and the industry as a whole. This has been done with relentless pursuit of technological advancement, unwavering focus on innovation, emphasis on quality products and a constant initiative for customer satisfaction. JSW Steel is committed to changing the way Indians live, thus introducing a product that truly helps in raising the standard of living of the masses, standing true to its ideal of changing with the times. A $11 billion conglomerate, the JSW Group is a part of the O.P. Jindal Group. JSW has set up business facilities in various core sectors of India. With verticals that are exploring innovative and sustainable avenues in steel, energy, infrastructure and cement, the Group is paving the way for India's development as a global superpower. JSW Steel is India's leading integrated steel producer with a capacity of 14.3 MTPA. The Group is also leading from the front in every sector that it operates in. By maintaining exemplary operational efficiencies, JSW Energy has grown ten-fold in just three years while JSW Cement creates the building blocks of India with its environment friendly product. JSW Infrastructure is contributing to the nation's development by providing world class services to clients through state-of-the-art ports, terminals, shipyards and other facilities. Our ethical practices, transparent businesses, strong Corporate Governance and focused employees have contributed to make every endeavour a success. And we are not stopping here. Expansions, upgradation and technological innovations are a way of life at JSW and we are focused on becoming the Company that puts India on the global map by developing vibrant communities along the way. The JSW Group is committed to creating more smiles at every step of the journey. JSW Foundation, the Group's CSR and sustainability arm, is in constant pursuit of making life better for communities with its various initiatives in the fields of health, education, livelihood and sports along with art and culture. Our zero effluent plants, green townships and happy employees are changing the course of the nation with their spirited growth. JSW Group is proud to be charting a course to excellence that creates opportunities for every Indian and leads to the creation of a sustainable, dynamic and developed nation.